Knowledge, insights, tips, ideas, innovation—All of our Founder’s wisdom and experience of over a decade shared here. The Oracle Way to Consulting by Kim Miller provides insight into what makes Oracle’s consultants some of the most respected consultants in the industry. Professionalism, managing client behaviors, clear communication, and tackling unexpected challenges are all necessary to be a successful consultant. Miller focuses on how consultants can best plan for their own futures and be the architects of their career paths. A consultant’s role is part teacher, part entertainer, part trusted colleague, and part personal assistant. Successful consultants wear many hats with ease, and have mastered a variety of skills. An effective consultant sets client expectations early and leads by example. Good consultants have mastered the skill of getting others to trust them quickly. To maintain trust, consultants should follow a responsible, ethical code of conduct. The best consultants are those that provide value-added services. These services allow clients to become more self-sufficient and ensure a long-term relationship between consultant and client. While the soft skills of consulting can be taught, some people are naturally better suited to consulting than others. Without aptitude for the job, and a desire to perform at the highest level, even a competent person may fail in a consulting role. Not all consultants are created equal. Consultants must understand how they fit into the overall hierarchy of their implementation teams. Consultants regularly interact with project managers, team leads, and subject-matter experts. They may also pull in other team members in clients’ organizations, or interact with other experts who are brought in to provide additional expertise. *Always achieve an understanding of one’s role in the project prior to meeting the client. *Defer to the project manager when appropriate. *Know the key players and their roles. *Aim to help the client take ownership of the project as his or her skills and understanding of the project increase. *Explain one’s position at the company. *Explain the precise role one plays in that position. *End the pitch with a question to encourage a dialogue with the listener. In follow-up discussions, consultants should be prepared to explain what exactly their companies do. A consultant should also be able to clearly explain the benefits of his or her services. Consultants should be wary of over-selling or under-selling their abilities, as neither path ends up being productive in the long term. Consultants should always be prepared for questions, especially during the interview and hiring process. The client will have many questions, and the consultant should come prepared with a copy of his or her résumé. Consultants should practice interviewing with peers or managers who are willing to critique their performances. After a consultant is selected to go on an assignment, the consultant should put together a checklist to prepare for the tasks ahead. Research should be conducted independently and combined with information provided by the project manager. Consultants should make an effort to introduce themselves to their new teammates as soon as possible. When a new assignment begins, the consultant should let the client’s team know what to expect and what the consultant will need from them. All eyes will be on the consultant, so he or she must lead by example. Many professionals transition into consulting as a second career. Before making this change, potential consultants should consider their qualifications, both personally and professionally. Without the basic aptitude for the position, a person’s second career as a consultant will not last. *Have I ever successfully taught adults? *Do I want to spend extended time away from home? *Do I enjoy working long hours? *Am I a team player? *Can I balance a position that requires leadership, delegation, and the ability to follow at the same time? *Am I able to apply knowledge to different types of situations? *Am I able to keep calm under pressure? Positive answers are a good indication that a person has the temperament to be a successful consultant. Those who feel qualified to become consultants should also make sure they are prepared to be effective from the start. Part of being effective is having the right mind-set. Oracle’s consultants are known to excel because they freely share information and work tirelessly toward the success of their clients, rather than having one eye on their own personal advancement. Before their first day on the job, consultants should schedule meetings and orientations with their managers. New consultants should ask managers why they were hired, and then capitalize on that perceived value. If there are any other lingering questions, consultants should get them answered on the first day. Consultants may look foolish further down the line if they fail to ask the right questions early in the process. On the second day, new consultants should determine how new hires are integrated into client projects. They should take the initiative to learn as much as they can about their first assignments, and get up to speed about the current implementation processes. They should then focus on building the skills that will make them valuable on their assignments. BEWARE OF OR EMBRACE INDEPENDENT CONSULTANTS? Some consultants find it difficult to work with independent consultants, as they are often more focused on billable hours than client outcomes. Independent consultants are often hired by clients because they are cheaper than hiring more staff. If a client brings on an independent consultant, it can also be a red flag, indicating that the other consultant is not adding enough value to justify his or her cost. Consultants should maintain a courteous and professional demeanor when dealing with independent consultants. Consultants should touch base with their managers to best understand the role of the independent consultant in a particular implementation, and determine how much transparency is required when speaking with that person. Consulting can be an exciting career for those who love to travel and meet new people, but the demands of consulting can also take a toll on families. As with any career, striking the correct work/life balance can be difficult. Travel is also not without its perils, so consultants who are not married or living with someone should make sure to have a friend or colleague who follow their movements. In the event of a problem, the consultant will have at least one person who knows where he or she is supposed to be. The rewards of travel can be both professional and personal, and many consultants will have opportunities to visit many different countries. When traveling, the consultant should take the time to learn the accepted business etiquette in different cultures. The most important skill a consultant can master is the art of setting effective expectations. Consultants must develop and execute their plans, and then recap those plans for the benefit of clients and managers. The process for achieving positive results should always be the shortest path possible. A consultant’s word is his or her bond. Therefore, a consultant should say what he or she is going to do, do it, and then tell everyone what he or she did. If there is an unexpected change in scope, a change order should be generated. Consultants should be knowledgeable about products, but they must also build other skills so that their services have added value. One major challenge that consultants must contend with is the fact that they have no authority over their clients. Therefore, consultants must tailor their approaches for each client team, and find a way to work effectively with each team. When issues arise, consultants should try to obtain definitions of the issues in a way that will not alienate clients. This will result in a solution that does not ruffle any feathers. Leveraging one’s pseudo-authority is an important skill in any consultant’s toolbox. Building strong relationships with clients is an important step in the right direction. Consultants should establish their credibility early in the consulting process, and continually re-establish their expertise. Consultants should also leverage the expertise of those around them in the project ecosystem. Consultants should stay above the fray when it comes to company politics. They should have respect for politics and find a niche within the political power structure where they can be the most effective. When discussing office politics with the client team, a consultant can be a sympathetic ear, but he or she must never offer any opinions about the issue at hand. There is no substitute for professionalism — no other skill or attribute can put a client at ease as quickly. Professionalism should be a part of every consultant’s attire, speech, written communication, and actions. Professional behavior leaves a lasting impression with clients, which can lead to renewed contracts or referral business. Being professional also means being approachable. Clients may find it difficult to ask for help, so consultants should be humble and courteous. All work and spending should be carefully documented. Consultants must plan every day. They must manage their own time, as well as the client team’s time. Consultants should also have alternative plans in place to handle any unforeseen complications. It is important that an alternative plan also be realistic, and based on the capabilities and skill level of the client team. Planning and time management should be documented in some way. Not only does this help consultants stay organized, but it provides the client team with a living document of the plan. Consultants tend to spend a lot of time in meetings. The importance of a meeting is an indicator of how much prior preparation is required. Every meeting should have a clearly written agenda, which will help set expectations for all involved. The invitee list for each meeting should be tailored so that only stakeholders and decision makers are involved. Consultants should ensure that attendees stay on topic for the duration of the meeting. A child can be the best negotiator. A consultant should try to mimic a child’s innate ability to convince adults to do something, without the adults even realizing what is happening. Consultants should be able to warm clients up to an idea, but allow the client to take the final step. When a client thinks an idea was his or her own, he or she will be more likely to follow through on implementation. Consultants need to help clients approach new situations and products in a way that counters clients’ assumptions and preconceptions. Novice consultants may struggle with some of their clients’ more challenging behaviors. Many people do not adapt well to changes in the workplace, so consultants must be understanding of clients’ fears. Not all challenging behaviors need to be addressed. If the behaviors do not impact the work, consultants can leave them be. Consultants must craft all written records and communications with great care. They should use legally defensible facts, and document all results or benefits to clients to add value. Consultants should solicit feedback on their documentation from their own companies and colleagues. Consultants should also be able to clearly state their experiences and expertise in their résumés. Consultants create a lot of documentation, and it is important for that documentation to be factual and clear. Emotions should be left out entirely. All documentation should have a professional tone. All of the deliverables must be high quality and delivered on or before the deadline. Rookie consultants may underestimate the amount of time it takes to create high-quality documentation, so it is advisable to budget plenty of time for these types of tasks. Some consultants read their work out loud, or have others read it, in order to ensure that the text is easy to comprehend. Words should be chosen carefully, especially when discussing a part of the implementation that may not be going well. A simple word like “bug” may send some clients into a panic. Words should be chosen in such a way that the reality of situations are made crystal clear, and solutions should be specifically laid out. Last but not least, a consultant should always use spell-check. Much of the consultant’s job revolves around speaking, but listening is an equally important part of being an effective consultant. Good consultants listen fully before formulating responses. If a consultant does not know exactly how to respond to a query, he or she can start by summarizing the question that was asked. If the consultant does not know the answer to a question, he or she should admit it and immediately promise to find the answer. Consultants need to ask good questions, and also know how to rephrase questions that are not getting robust answers. A high-quality question will be more likely to result in a high-value answer. Consultants should avoid rhetorical and trick questions, neither of which will advance the progress of the consultant-client relationship. If a company gets acquired after implementation has begun, this can change to flavor of the whole assignment. The consultant should speak with his or her project manager and get guidance on how to fold the new company into the project. The project plan will likely need to be updated in response to the change. Consultants should be empathetic to the stresses associated with this change, but they must remain focused on their tasks. *Getting a handoff from the sales team. *Translating those requirements into software functionality. *Transitioning the consulting team off the project. The implementation team is likely to include a mix of several different teams. Some may be offshore team members, while others may be independent consultants or remote workers. The most important team must be the client team. Consultants should be cognizant of any time zone differences that may present a challenge and plan team activities accordingly. Consultants should foster teamwork among disparate groups. Consultants who want to advance their careers need to make a name for themselves, which means taking initiative, making plans, and building relationships with managers. A consultant’s manager can be an advocate and a partner in advancing the consultant’s career. Consultants need to find out how their managers’ performance is measured and then help their managers meet those benchmarks. Consultants should adapt to their managers’ unique styles and quirks, and set aside time to make sure that their managers are thinking about how to advance the consultants’ careers. 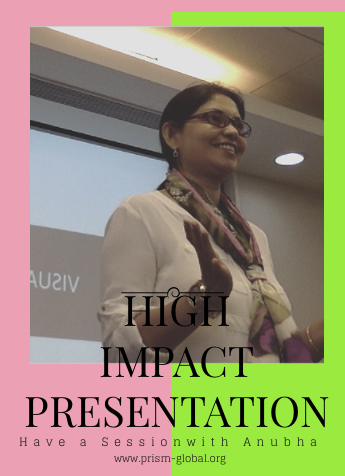 Presentation Skills is the most important competency for any employee. I have been conducting a session for various escorts, corporates at Senior level and Mid-level and I am sharing Roadmap which you can never forget. 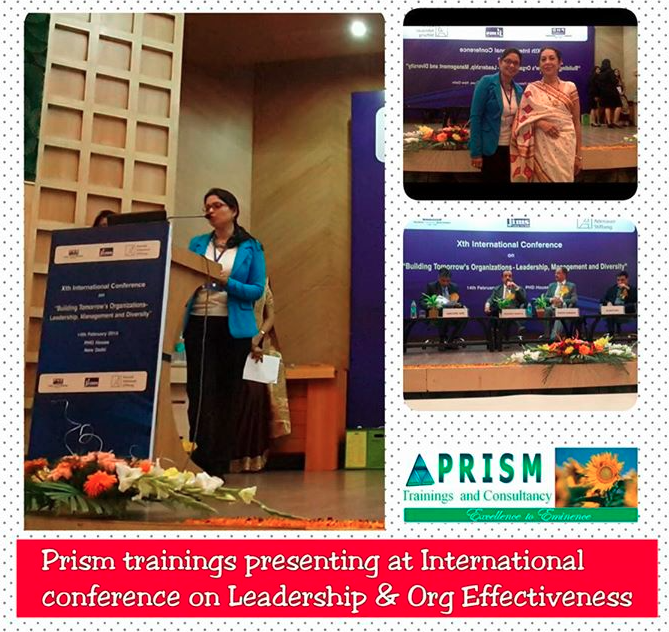 HR can contact us at 919818446562, training@prismphilosophy.com for development of their staff on this title. *Follow-up questions expected to be asked. *A clear sense of conflict. *A logical sequence of events. *Focal point: the headline of the story. *Setup or challenge: the issue the organization is facing. *Opportunity: how the organization can resolve the issue. *Approach: the how, where, or when of the story. *Talk: When someone starts talking, a leader should be prepared with a response that has a clear point. *Actively listen: A leader must listen carefully to the other person to pick up keywords, names, dates, and other important details. A leader should be ready to ask open-ended questions with a focus on the elements that are interesting. *Converse: A leader should jump in with a comment or question when there is a natural pause, be careful not to start an irrelevant conversation, and keep responses short. Being brief requires an understanding of what is important to the audience. By focusing on the audience’s priorities, leaders show respect for them. *Googling images that relate to the presentation. *Using a whiteboard to illustrate. *Creating a presentation through programs like prezi.com. *Using icons instead of frequently used words. When using visuals, leaders should assume people may not read the accompanying text. Therefore, the visuals should be able to stand on their own. When incorporating videos, leaders should be mindful of the time and quality — videos that are too long or too amateurish will lose the audience. *Communications should have a strong subject line or title. *Readers should not have to scroll down beyond the opening window. *Whitespace should balance the text. *Key ideas should be called out. *Bullets and numbers should feature a strong starting word. *Unnecessary words should be trimmed. I presented my research work in International Conference, describes the Leadership Style and Organisational Effectiveness in Delhi NCR. Attempt was made to determine if there is a significant relationship between leadership styles in relation to Organisation Effectiveness. A total of 67 randomly selected leaders from the Delhi NCR completed leadership style and Organisational Effectiveness questionnaires. The data indicates that in Delhi NCR: (a) leadership styles included directive, supportive, participated and action oriented leadership. The most common leadership style among is directive leadership style. (b) there is no relationship between directive leadership styles and organisation effectiveness. (c) There is no relationship between action oriented leadership style and organisation effectiveness. Directive leadership is task-oriented and includes setting performance goals and reviews, facilitation, discipline and rewards.Supportive leadership is people-oriented and describes a friendly and approachable leader who creates a pleasant work environment based on mutual respect, no hierarchy, and employee satisfaction. Participative leadership involves employees in decision making and encourages employee suggestions and involvement. Achievement-oriented leadership involves employee performance reviews, including goals, efficiency, improvement, responsibility and accomplishment. In this model, the relationship between style and effectiveness, relates to employee characteristics and the employees work environment. 1. Lead with the Conclusion: The agreed upon standard for communications used to be gradually building to the main point, usually best to state the main idea first and why it is important. After ensuring that all readers have at least understood the critical argument, writers can continue with supporting evidence, information, and a limited number of links for those interested in reading further. 2. Use Big Words Sparingly: Ironically, research shows that while people with stronger vocabularies are more successful in business, those who use too many big words are not effective communicators. When the audience is concentrating on a speaker’s vocabulary, they are missing the overall message. Rather than responding with admiration, people become frustrated or are put off by the speaker’s perceived attempt to brag or impress. Again, the aim is not to insult the audience’s intelligence, but merely ensure that their focus is on the information being conveyed. 3. Combat Jargon Abuse: While jargon feels good to use for insiders, it inherently excludes everyone else. When trying to simplify complicated subjects for a non-specialist audience, it is imperative to minimize and explain any use of jargon. Acronyms are like another form of jargon that increases efficiency for insiders but, again, is a hassle for outsiders. 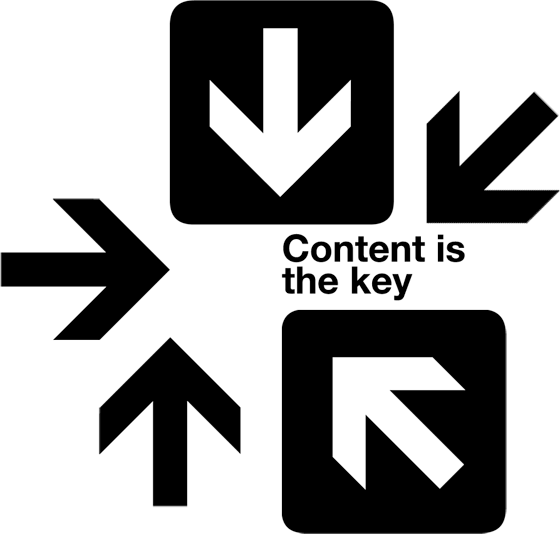 When content looks like “alphabet soup,” acronyms are being overused. 4. Shorter Sentences, Paragraphs, and Chapters: Just as with the overuse of big words, long sentences, paragraphs, and chapters are “roadblocks” for readers. Internet culture has promoted brevity in the same way it has encouraged easy readability. Overdoing it can make a document boring, however, so this is not a hard and fast rule but something to be mindful of. When making cultural references or analogies, communicators must be sure the entire audience will understand them. It is safest to stick with shared human experiences (e.g., food, family, sports) to avoid confusion. also need to consider the tone their messages are delivered in. 6. Make it Error Free: Errors ruin credibility no matter how intelligent the person presenting is. Communicators should always work with others to ensure work is free of errors, particularly those a computer may not pick up. 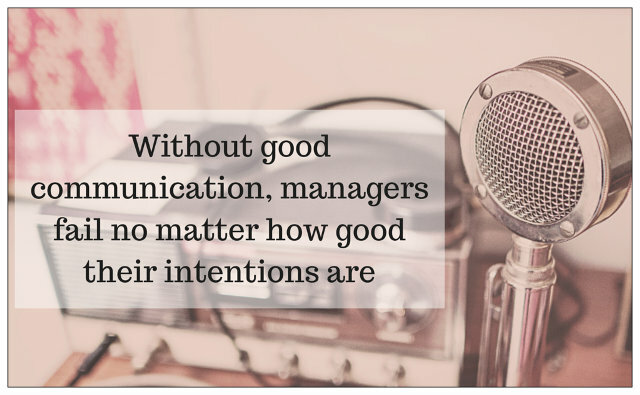 “A golden rule to be a good manager/leader and of-course a human is to communicate effectively. Our in-depth training modules are designed specifically to bring out the super-communicator in you to make sure you progress and pave the way forward for you and your team. Here is a glimpse of our 2-day session at a leading software solution company.